During the summer months I tend to wear flip flops as much as possible. I love Havaianas flip flops and find them really comfy. The only problem is the weather, being caught in a downpour in flip flops is far from fun as I've learnt on numerous occasions! I was really excited to see at the Yellowdoor AW12 press day back in April that Havaianas have launched a possible solution to this! Their new collection of ballerina flats and espadrilles have the same rubber sole as their traditional flip flops, meaning you still have the comfort of the flip flop base whilst keeping your feet dry! 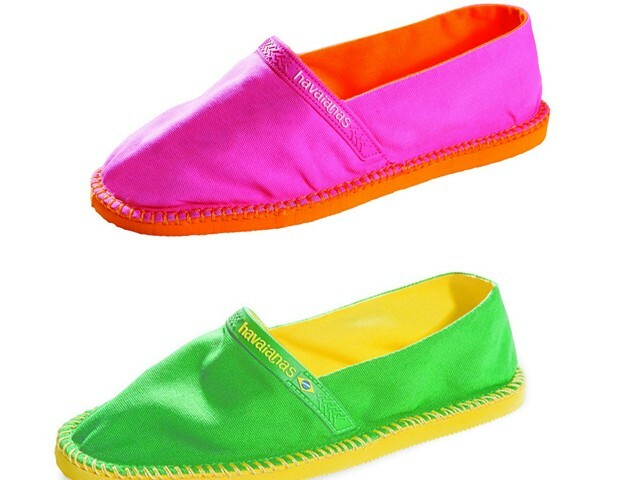 Their summer collection is available in a range of bright colours for the season. What do you think of Havaianas new designs? I love those white pairs! So cute! 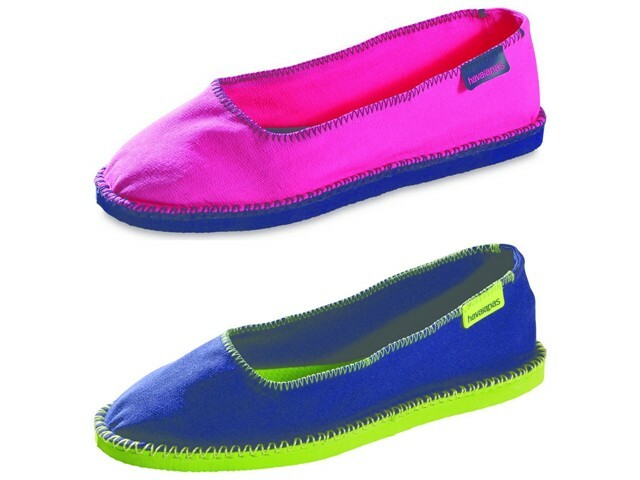 The ones on the left are adorable and I'd wear them every day :) Perfect for summer! Whoaaaa, these colors are insane balls. I like them! ooooh! this is interesting! The colorful ones may be a bit too much for me, but I really like the white and the black ones! I love how they look like there's lace on the fabric! I always wear sandals on flip flops on what looks like a sunny day then it suddenly rains from nowhere and you are on the street with your bare feet on show... looking stupid. So these are a nice little alternative! The white ones look so comfy, one to wear them with jeans and leather jacket for a laid back summer look! Ooooh LOVE the bright colors - so fun! This is so awesome to see! My last pair of Havainas broke in the rain when I was running home from the subway. I love the cream ones and the bright colored ones too! Any idea where to pick them up stateside? I can't wear flip flops coz they bug my toes! But I love my espadrilles!